Annual review at work = Lets have a drink during lunch! 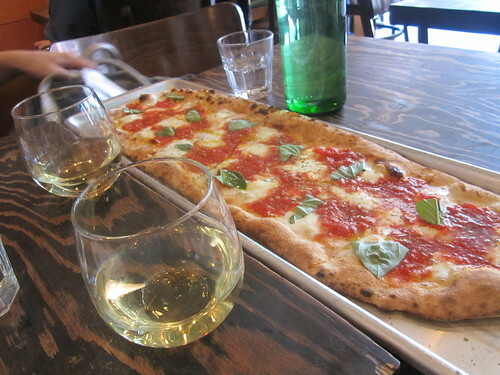 Lasso has $4 happy hour wines and pretty good wood-fired brick oven pizza. Shown above is the medium Margherita pizza. Yum!